Synthetic oils, intended for more modern vehicles and engines, are by far the best choice as they are different from mineral and semi-synthetic oils in the specific processing methods, characterized by excellent resistance in extremely low and high temperatures and protective of engine wear. One of the frequent oil markings in cars is SAE 5W30. SAE is an abbreviation of “Society of Automotive Engineers”, while the 5 and 30 marks are for oil viscosity, that is, the greater the number, the oil has a higher viscosity. W indicates “winter”, i.e. the properties of the oil at low temperatures. The goal of a motor oil is to protect the vehicle engine in winter when the temperatures are low or that the oil is light enough to run the engine without any difficulties in cold start, and it is sufficiently dense to keep the engine running at the same operating temperature. The aim is to reduce the viscosity of the oil at low temperatures, and to increase at high. This allows use of the same oil throughout the year. Oils that meet only summer or winter conditions are called single or mono-grade oils. In order to obtain multi-grade, i.e. more seasonal properties, conventional additives need to be added to various motor oil base additives, say the SAE 5 base. These additives will reduce viscosity in cold engine operation, but also increase viscosity at engine running temperatures. This product belongs to the category of universal lubricant oils and therefore has a great set of qualities. The substance is effective at a low temperature of -25°C. As for the high-temperature threshold, it’s 25 degrees. Many manufacturers test their cars for quality on special booths. But anyway, the characteristics that the manufacturer puts on the packaging can be significantly different from those that the substance will have during intensive work on the internal combustion engine. In these regards, car dealers, as well as motorists, conduct their own oil test in working conditions. The tests are designed to show over which period of time the product loses its traits. To achieve a more economical ride, US engineers have introduced a number of parameters that give the right combination of certain SAE 5w40 viscosity oils to lead to energy savings. It is imperative to reduce oil consumption by 1.5%. In European practice (ACEA, ILSAC) this value exceeds a minimum value of 2.5%. 5W – means to maintain oil flow at low temperature – 35°C. Starting point is 40°C (5-40 = 35). 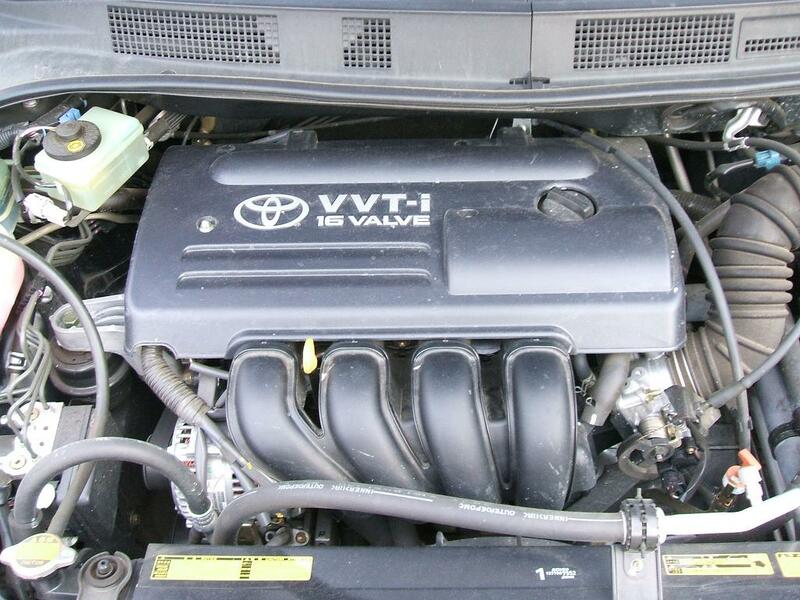 Because of this property, the engine will not work “dry” under frost, but the oil will penetrate all the important components, and the life of the engine will last. 40 – generalized viscosity index at high temperatures up to 150°C. The thickness of the oil, in the first place, depends on the size of this figure. For working viscosity of 40 this parameter is min 3.5 at 150g. For working viscosity of 30, this parameter should be at least 2.9 at 150g. To a great extent, this indicator gives an idea of ​​how much the oil sustains in extreme loads. 5w30 is used in temperature ranges from -25°C to 25°C, while 5w40 from -25°C to 35°C. 5w40 provides higher pressure but less flow. 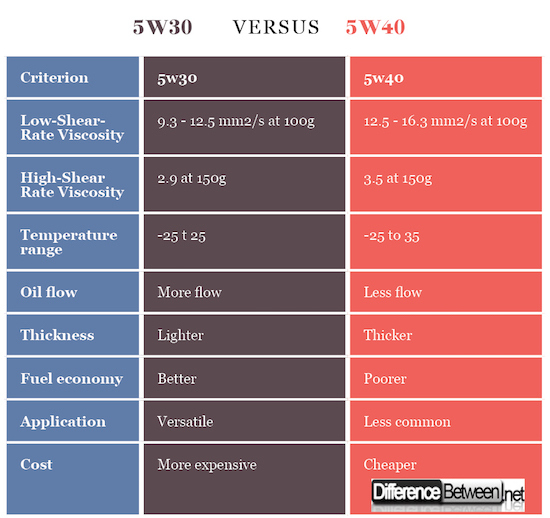 5W30 is lighter, so it got better fuel consumption. 5w40 has poorer fuel economy. 5w30 can be used by different type of vehicles and in different range of temperatures, but is ideal for colder temperatures. 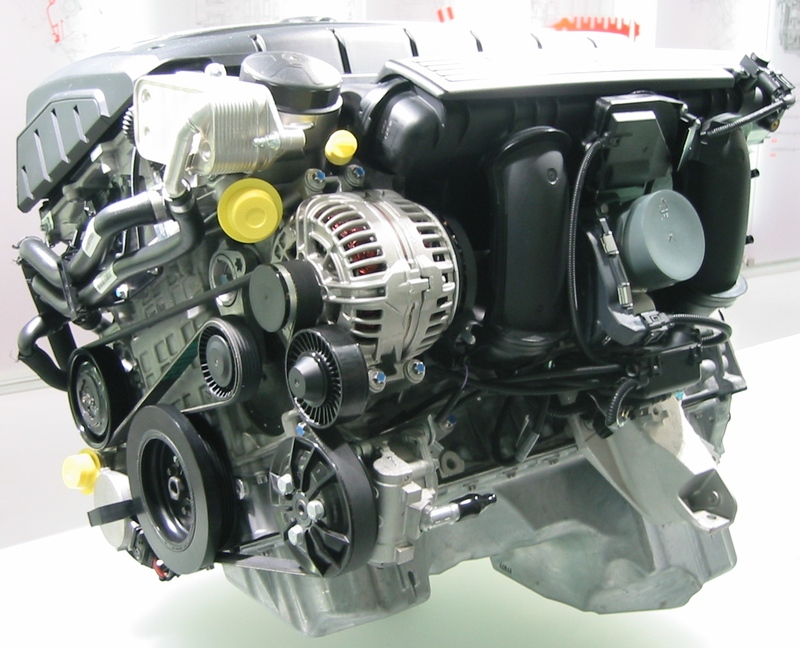 5w40 is often used in higher mileage engine sand performs better in warmer temperatures. 5w30 is typically more expensive. 5w30 oil is designed to operate at temperatures as low as -25°C, but is also a great choice for warmer climates that reach up to 25°C. In general, 5w30 is a great multi-grade oil for different temperature specters. It is also more fuel efficient. 5W40 is a motor oil that penetrates to the active mechanisms faster, and provides excellent lubrication on start up. The number “40” implies that it differentiates from the most common motor oil (30) among the cars, as it is denser, and this ensures more profound engine lubrication during hot temperatures. This oil is most often used in case of higher mileage vehicles as it is thicker than the 30 oil, so will provide better lubrication for the working parts inside the motor that have been wear-off as a consequence of aging or strain. Emilija Angelovska. "Difference Between 5w30 and 5w40." DifferenceBetween.net. March 26, 2018 < http://www.differencebetween.net/object/auto-object/difference-between-5w30-and-5w40/ >. Plz tell me in North India which For Hyundai i20 which engine oil is better in between 5w30 or 5w40. In summers maximum Temp. 48° C.
Iam in Indonesia that is very hot too, Iam using Shell Helix Ultra 5W/40 for many years (oil change every 5000 km) for both my car Suzuki All New Swift and Daihatsu MPV 7 seater. Engines of both cars still in very good condition. Mang, T., Dresel, W. “Lubricants and Lubrication”, Weinheim: Wiley, 2001.